Photo by Kayla Michaud |CIGAR| Performers in play start conversations with audience on and off stage. In recent years, the opioid addiction has become an increasing epidemic within the United States, and the state of Rhode Island in particular. Despite the ongoing crisis, it can be tough for people to have a conversation about opioid and drug addiction. 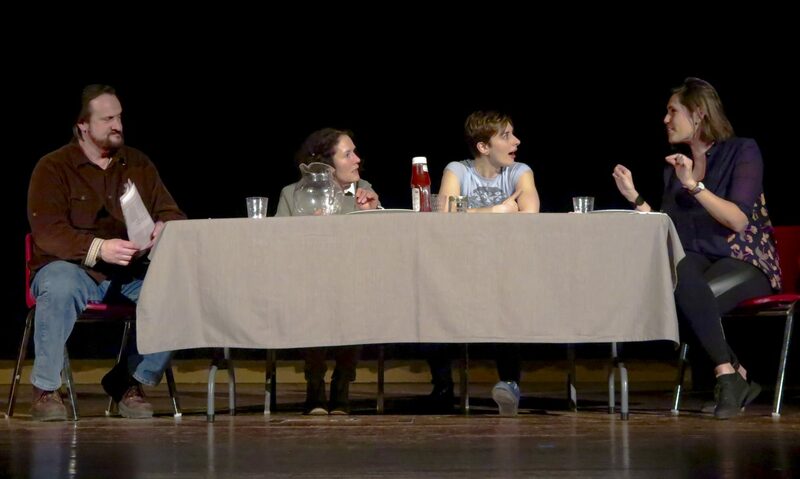 But now, a short play that addresses the current opioid epidemic came to the University of Rhode Island on Monday, Feb. 26 to normalize conversation around the topic. “Four Legs to Stand On” tells the story of drug addiction within one family. Each family member brings their own insight of dealing with an addiction around them or within them to the table. The audience is invited to sit down at the family’s dinner table as they witness the hardships all members of the family face during the drug addiction of one of the daughters. The author of the play, Ana Bess Moyer Bell, wrote it based off of her own experiences. In 2012, she lost her high school sweetheart to an overdose. Moyer Bell lost three more friends within the span of just three months in 2014 and since then she has lost many others to addiction. Moyer Bell grew up in South Kingstown, Rhode Island. She took her experiences from being surrounded by addiction in her small town to create a fictional story that’s actually quite real. 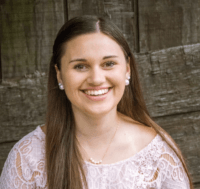 “This is very much a reflection of this community, South Kingstown and of my family and friends and people who I’ve interacted with in this community,” said Moyer Bell. The causes of the deaths of her friends and loved ones were unmentioned in their obituaries. Knowing that addiction was a common cause of death around her, she couldn’t stay quiet about the issue. 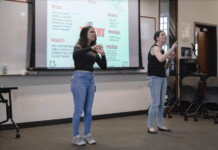 Wanting to raise awareness, Moyer Bell found performance to be an effective way to spread awareness about the negative and heartbreaking effects of addiction. 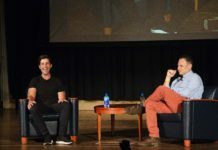 While the discussion of addiction can be a sensitive topic, the actors did an exceptional job taking on the challenge of playing the roles of characters who were dealing with addiction. After the performance the actors and Moyer Bell held a “talk back” where they took feedback and answered questions from the audience. During the talk back, it was pointed out that this is only one family’s story. Every family who deals with addiction is going to have an altered story. Other topics of discussion in the talk back included ways to spread awareness, how to work towards ending the opioid epidemic, and what to tell someone who is currently struggling with addiction or who is going through rehab. 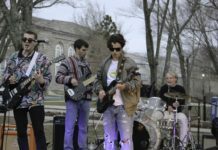 The performance was brought to the school by an organization called Creating Outreach About Addiction Support Together (COAAST). COAAST works towards educating Rhode Island residents about addiction as a disease, how to deal with loss from overdose, how to deal with recovery and the stigma that comes with addiction. The performance was sponsored by URI’s Athletic Department, as it is an important message for athletes. 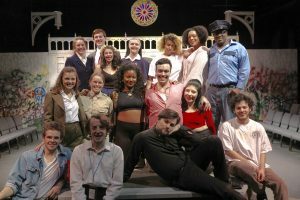 “Four Legs to Stand On” has been performed more than 30 times across New England and is to be performed in 10 upcoming high schools in Rhode Island. More information about how to start a conversation about addiction and about COAAST can be found at www.coaast.org.